Job Interviews are times when the interviewee has to be perfect; an interesting and inspiring tale should be made from the work experience which is neither repetitive nor dull. You should be comfortable and unperturbed during the interview but being laid-back will drastically reduce your chances of getting the job. Also practised replies and smart confident impromptu responses are necessary during job interviews; but they should not seem prepared. It becomes gamble; a stroke of luck where your every response should seem ideal for the job to the interviewer. With precise knowledge of the company it becomes easier to understand what is expected from the employers. This article gives some much needed advice on how to perform in the interview of your desired job and emerge a winner; here both verbal and non-verbal communication is significant. How to Land Director-Level Jobs? Interviews are conducted by companies to understand whether the shortlisted candidates are suitable for the job and its responsibilities; also the culture and management criterion of the job matter as the candidate needs to adjust properly to the environment of his workplace. Intuition and guessing about probable questions in an interview is one important factor; always prepare humorous and logical replies which the hiring manager will find innovative and interesting. In your resume highlight your successes and strong points; also point out the shortcomings and weaknesses of the company; also narrate about your management technique and vision about the company so that it overcomes the present hurdles. Try to logically explain your requirement in the company and decide on a suitable price; since asking for less will make them think that you are not skilled enough or commendable. Always know about the compensation package of the company you are going to work for since this shows how much the company value its workers and if it is worth the hard work. Never back off from discussing about your failed projects since the hiring manager has also done research before interviewing you and all aspects of the professional life should be known to them before you hope to land the job. You will always be asked about the failures; plan what to say and how to say it so nothing comes out in an unaware random manner; be careful to tell about the innovative steps you have taken in projects; always narrate about the rectification steps you have taken to improve in the failed projects. Do not point out flaws and mistakes which you have not planned to divulge; as the interviewer feels that you are not diplomatic enough to get the job; if you say that you prefer to avoid conflicts; it seems to him that you will always run away from conflicts and never stand up for your beliefs when faced by strong opposition. Never promise improvement to the interviewer in answer to a question but suggest improvement measures which you believe will better the situation. One basic requirement for getting an executive post job since confidence and poise while conversing and in business meetings is a necessity for influencing the others about the viability of your plans and techniques; to inspire and enthral others to your decisions; only true factual representations is not enough and small inspiring tales should be concocted. Try to make the meetings more creative and interactive by creating imaginary situations and problems and also narrate ways and ideas to overcome the problems; create scenes, characters and action but emphasize on the OAR model and avoid unwanted digressions or overt detailing. Always practice for the interviews by performing in front of the mirror and with audios and videos; you can also take suggestions and feedback from faithful friends about your appearance and non-verbal behaviour and language. Be impromptu and vivacious with a reply for everything and a solution for every difficulty. But never be over-enthusiastic and over-confident in your replies and do not always begin answers with “me” and “my”; as it reflects that you are excessively focused on yourself and will not perform well in group projects. This will be a difficulty in selection since successful group work is a necessity for success. Imagine yourself as a key block for the progress and further building of the company; it will boost the confidence levels to a large extent and help to create your role and responsibilities in the company. Arrive for the interview before-time by at least fifteen minutes; never be late and enhance your confidence and self-reliance by thinking that you are the employee the company needs to recruit. Use the time wisely and gain knowledge about the company, its work-culture, work-environment and employees through observation. Walk into the interview with poise; a smile and confident steps greet the interviewers and shake their hands firmly; give the vibes of a self-assured man. Try to repeat the interviewer’s name a few times at suitable opportunities as everyone like to be given importance; thus the hiring manager will also develop a liking for you and take your interview more eagerly. Some basic etiquettes are necessary for job interviews; do not seat until being asked, prefer to seat in chairs rather than the sofa, sit straight with hands on knees and do not cross your legs or arms; you should appear to be a serious and hard-working and calm person from your posture and etiquette. Sitting cross legged or with your arms crossed is an unconscious indication of the body being nervous and uncomfortable in the current environment. Always give prompt response to the interviewer’s questions so that he feels that you are listening to his words; try to think about the motives behind the questions and answer calmly and logically. Never answer a question hurriedly; always contemplate about it before responding; be vivacious and dynamic while interacting with the hiring manager; be the natural and simple self and do not over-do the professional and confident act; the balance should be maintained. Laugh and smile if necessary since it calms the mind; while talking have eye-contact with the interviewers and see around the room while talking to understand whether everyone had understood what you said. This creates a relaxed atmosphere in the room; remember to avoid negative discussions about the current employer even if the discussion is initiated by the interviewers; since it will show your unprofessional attitude. Towards the end of the interview ask the interviewers whether they were pleased with your replies and professional performance; and offer further information that pleases them. Provide information about your academic and personal background which you feel will help you in getting the job; but never offer references unless asked for. The end of the interview offers the last chance to clinch the job and everyone should do their best to leave a remarkable last impression. Without sounding desperate show your eagerness to get the job; as being excited and thrilled to avail the opportunity of working in the company. The impression that you make when you enter the job is the most vital; the second-most crucial impression is the last impression as it displays your keenness and enthusiasm for the company position. Make notes about the meetings and the questions asked as soon as the meeting is over since this will help you comprehend whether you answered correctly or not; also the habit of taking follow-up notes will enhance the performance in other future interviews. The notes will help you to remember and understand what points were discussed in the interviews; give a letter to the company thanking them for the interview and also reiterating the good points of your professional performance and eagerness for the job. When the company understands that you value the job highly; most often it will be rewarded to the person who values the job most highly and desires it most. Do all this in a prim and professional way; without being over-eager for the job. Having some prior experience in management will always enhance the chances of landing the job; it will be beneficial both in the resume and in the interview for a director-level post in the company. While narrating about your professional experiences and expertise give special emphasis on the leadership qualities; how you can control the subordinates and co-ordinate with them for a integrated better performance of the whole group. Also elaborate your skills in working within the budget and finishing in the given time-line; all this professionalism will impress the interviewers; as the most professional worker who respects the time span and budget becomes most successful in director level jobs. Discuss in the interview the ways through which you plan to integrate and associate with the subordinates; this will show the hiring managers that you have a future plan about how to go through the director’s job and form a well co-ordinated and accountable network for the job related responsibilities. Also talk about techniques through which you plan to associate with the clients and add more customers. To get a director or supervisor job you have to be eligible for the post; proper skills about controlling people and behaving professionally even in chaotic situations is a basic necessity. You have to make difficult decisions sensibly and logically in confused circumstances; one has to work with lethargic workers, complete the project in time and within the stipulated budget and along with that; also promote the company’s improvement. So while talking about your abilities in the interview express the belief of doing as the superiors desire and the skill of taking impromptu decisions and also technical expertise. To be a successful manager or director in the corporate sector; one has to be have the unique ability of working and performing outstandingly under pressure and in difficult situations; as the corporate sector is uncertain and one should always be ready for bizarre changes in the industry and business sectors. Innovative solutions and interesting techniques will always motivate the workers to progress and do better in their jobs. To get the job as the director of a department; it is not necessary to be vivacious, an extrovert or sociable; but it is necessary to be well connected and co-ordinated with the workers of your department and be always updated about what they are working on and how they are doing their jobs. Being interactive with co-workers, superiors and subordinates is a pre-requisite for clinching a director’s job in a department. It is important ant vital to convince the interviewers about your capacity of interacting and collaborating with co-workers and subordinates; and they should also believe that you are capable of having professional conversations with clients on a daily basis. The interactive skills require one to be extremely professional in promoting the company’s interests and increase the customer base, endorse the company values and beliefs, training other workers and taking feedback and criticism from co-workers and making changes as deemed necessary. On an overall basis the director of a department should be professional, enigmatic with strong interactive skills so that he can adapt and use the helpful feedback from co-workers and clients; this will also help him to gain respect from his associates. To become a successful director and to help a company progress; the person with leadership qualities should always be chosen to guide the workers and inspire them to perform better and achieve success. A successful director is always an effective leader; he is a person who is able to voice his opinions about the company’s drawbacks and what suitable solutions should be undertaken, he should also be a person ready to monitor and guide the subordinates and have a unique and pioneering vision for the development of the company. Leadership requires the person to have foresight and sensible management skills. Without displaying management skills, leadership expertise and supervision authority; the interviewers will never choose a candidate for the director’s post. The director’s job in the corporate sector or the academic sector is difficult and quite complex; as you have to work understanding and according to the inner politics and necessities of the job. 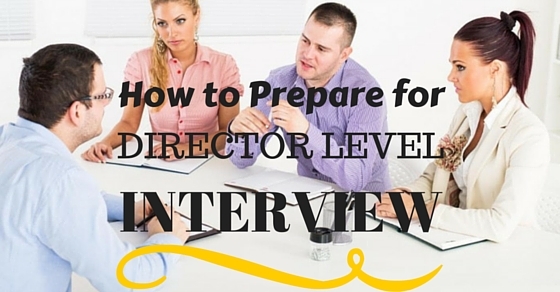 To get the director’s job you have to showcase your leadership and management skills in an interview. Always try being confident and self-assured during the interview; and remembering that the first and last impressions are the most crucial. Try to impress the hiring managers and show your eagerness for the job; but do not be overly enthusiastic which seems deceitful and over dramatic.